Now that -30 C is a distant memory, it’s time to start enjoying more outdoor activities again! One of the more common sights out on the sidewalk now is joggers. It’s so easy to go stir-crazy during the winter months, so getting out for a run can be very refreshing. Although jogging looks like a simple activity, there are a few things to keep in mind. 1.Do a warm up and stretch before going out. It warms up the muscles before you exercise, which will help prevent injury. 2.Dress for the weather. Spring can have unpredictable weather and can still be chilly. Layer up! 3.Stay hydrated. This means getting the right amount of water before, during and after exercise. 4.Wear the right shoes! Wearing proper running shoes can reduce the stress placed on the heel, ankles, and knees while jogging or running. 5.Know your limits. We tend to become less active over the winter, so be mindful of your limitations to avoid a preventable injury. Now get out there and have a good run! Spring is finally here, and the snow has mostly melted, and the roads got slushy—so I cannot help but remember what spring was like when I was a kid. My dad used to make a rink in the backyard, a classic Canadian winter-time endeavor. My brothers and I used to spend hours on the ice. We would skate, we would play shinny in our boots, and we were tasked with keeping the ice freshly shoveled. My dad went all out with this rink—we had benches to sit to get our skates laced up. There were flood lights, so we could skate after dark. One of my most vivid memories of the rink is looking up at the pitch-black sky and watching snow fall towards me illuminated by the flood lights. Every spring, the melt from the rink would be epic. Our backyard would essentially flood. Instead of skating, we probably could have swum. My dad would get a sump pump out to try to combat the flooding, hoping that it wouldn’t seep into our neighbours’ yards too much. While I never went on to play a ton of hockey like my dad and one of my brothers do, my memories of the backyard rink are fond. Other kids in the neighbourhood would come to play with us. Flooding the rink when it got cold enough was a big deal. I recently celebrated my 49th Birthday at the end of December and as I look upon the year ahead I realize that I will be 50 at the end of 2015. The number scares me as I reflect on my life and wonder what have I done for myself and why I haven't taken care of the body I was given. In October 2014 I had a knee replacement surgery and it has been a long four months of recovery and I am still unable to walk properly. I realize the importance of leading a healthy lifestyle and being fit and active. As I journey into the next stage of life, I have challenged myself to live a more active lifestyle and make better choices when it comes to my health. Do not take your body for granted. The healing process with my knee has been cumbersome and the commitment to making it work has been tough. Daily exercise and physio have consumed my days and it will be a lifelong process to ensure my future mobility. My team mates at CSIB are extremely supportive. We work daily to provide insurance and advise for amateur athletes of all sizes and shapes and I urge you to listen to my words of advice: TAKE CARE OF YOURSELF. You are never too young or old to start living a healthy lifestyle because someday you will be looking at 50 too. 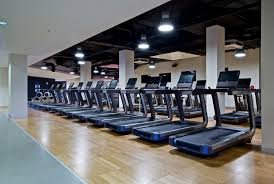 Fitness Facilities and Fitness Instructors of all kinds have a unique exposure to risk that most other businesses do not. • Are you obtaining a copy of Insurance from contracted trainers/instructors? • Is your equipment properly protected? • Do you post workouts / advice on line? • Do you sell anything? Ie. Clothing, diet plans, supplements? • Do you carry the appropriate insurance for your operations? • Are you a contracted trainer? Or are you employed by a Facility? • Do you carry the appropriate insurance via requirements of the studio(s)/facility(ies) you work at? • Does the facility you work in cover you? Are you sure? • Do you carry Professional Liability Coverage (Errors & Omissions)? • Do you post workouts / advice online?